Jaguar has been a name that Holmdel drivers have appreciated for years, and it’s something that makes a statement whether it’s a new Jaguar model or a pre-owned Jaguar model. For those drivers looking for a stylish vehicle you can rely on, the Certified Pre-Owned Jaguar is the right choice. These models come with the features you love while also experiencing a rigorous testing process to ensure they’re always safe and reliable. After all, they cannot receive the Certified Pre-Owned name without passing. Rumson drivers appreciate the Certified Pre-Owned Jaguar models because they provide peace of mind while still offering a luxury drivers enjoy. When you want sophistication and reliability at an affordable price, choose the Certified Pre-Owned Jaguar model today. 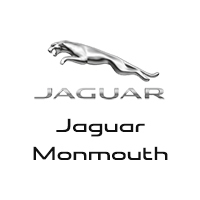 When a Certified Pre-Owned Jaguar is on your must-have list in Colts Neck, choose one from Jaguar Monmouth. We have an extensive inventory of used vehicles for you to choose from that complement any style or taste. In addition, you can rely on us to provide top-notch customer service exactly when you want it, so check us out today.